Of all the listings I’ve had, I cannot think of one that was completely turnkey & ready to hit the market. We live in our homes and we’ve got stuff like books, pictures, toys, clothes, games, sports equipment, etc. If you have kids, you have even more stuff. Oftentimes, stuff adds color and makes living fun. I’m a professional and consider myself a pretty clean and organized guy. Let me tell you, my house is definitely NOT “list ready” because I’ve got a lot of stuff. It can be a daunting task for a Seller to ponder the work involved in getting his/her house ready for the open market. What home improvements really pay off when the time comes to selling your house? Money is always a factor. One never wants to throw good money after bad. This is further compounded when it is an owner-occupied situation. What is the most economically sound way to maximize your property’s potential in the marketplace? 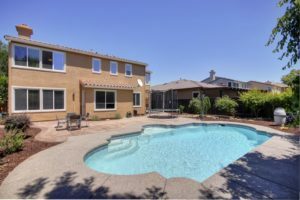 One of the services I provide as your listing agent is a detailed and unique “best bang for your buck” step-by-step plan to get top dollar for your house. You want the Buyers out there to have an aesthetically pleasing tour through your home. Buyers want to feel that your home is a well-cared for home. You know what they say about first impressions… this is especially true when your house hits the market. I always tell my Buyer clients that if you can imagine yourself living in this home then you are half way there. Buyers don’t want to walk through a cluttered home. It’s a turn-off and they most likely won’t purchase your property OR, they will offer you less money simply because the house is cluttered. You don’t want buyers looking at what toothpaste you use, folded socks on the dryer or pictures of your family & friends on the fridge. Box up and store absolutely everything you don’t need to exist on a daily basis. By doing this you will create more space for the things that you do need to live with and you will be able to keep these items out of sight when your home is being shown so that the Buyers can focus solely on your beautiful home and imagine themselves living there. 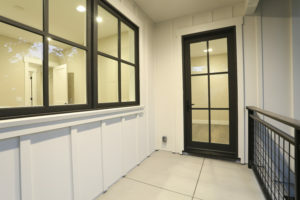 Many clients have asked me what they need to do/spend to get their home “list ready.” This usually leads to a discussion of the options between small improvements vs. major remodeling. Major remodeling like knocking down walls, room additions, total replacements of kitchens and baths, etc. rarely pay off fully in the short term. It’s often the case that most major improvements are unlikely to return their full cost if a house is sold within two or three years. 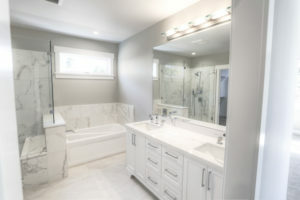 If you spend $50,000 on your home in home improvements shortly before you sell it, I’d be afraid that you may not even make your $50,000 back in a sale. Unless you are living in your “forever home” probably the most basic rule of all, in this regard, is to never improve a house to the point where its desired sales price would be more than 20% higher than the most expensive of the other houses in your neighborhood. Try to raise the value of your house too high, that is, and surrounding properties will pull it down. It may seem counter-intuitive but small, relatively inexpensive changes can pay off in a big way in making your home attractive to buyers. The best way to do this is to paint, paint, paint. Dated wood cabinets can look brand new and contemporary with a fresh coat of paint and some inexpensive hardware. Avoid bright colors. Go white, light grey or tan where you can. In most circumstances, neutral is the way to go. You want the Buyers to imagine themselves living in your home. Let them have a blank slate so they can be creative with whatever colors they will want to use in their new home. Another inexpensive but effective update is to change out old light fixtures/fans that date your home. Strategically adding LED canned lighting is also an important option to consider if you have a dark home. Sticking to this plan of painting, hardware, light fixtures and some canned lights as necessary. I’ve had clients implement these plans with budgets of $3,000 – $10,000 and make their investment back + a $10,000 – $30,000 profit. 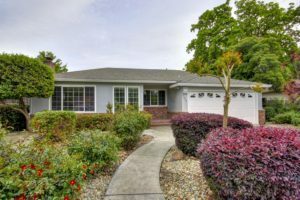 Curb appeal is a popular phrase in real estate and is defined as the attractiveness of a property for sale and its surroundings when viewed from the street. Landscaping, the front entrance, and the condition of the paint or siding are the biggest factors in curb appeal. Most buyers make a decision about a house at first sight. Buyers will respond best if your home has been meticulously maintained. 1. Be sure lawn is mowed, edged, watered. Prune trees and weed flower beds. 2. Driveway: Keep garage closed and driveway free of cars and debris. 3. Roof: Repair/replace damaged/loose shingles. 4. Walkways/Steps/Walls: Keep them clean; minimize cracks and crumbling; keep them clear of obstructions including toys, bikes, etc. 5. Windows: Check appearance of window coverings from the curb. 6. Paint/Caulking: Repair peeling paint and loose caulking. 7. Insects/Rodents: Take steps to eliminate. 8. Waste: Pick up any pet waste. Check home appearance from curb – make sure things look clean and clear. 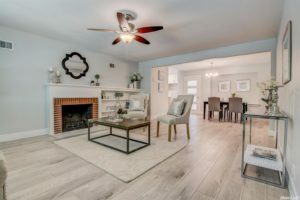 Like all of the other small improvements listed above, opting for professional staging is a “must” when trying to get top dollar for your home. 1. Look better than other homes on the market. 2. Spend 88% less time on the market. 3. Sell for 17% more than non-staged homes. 4. Look better in print and Internet ads. 5. Receive more foot traffic. 6. End up on a buyer’s “must see” list. 9. Have less reasons for buyers to ask for concessions. 10. Professionally staged listings “STAND-OUT” in prospective buyers’ minds.